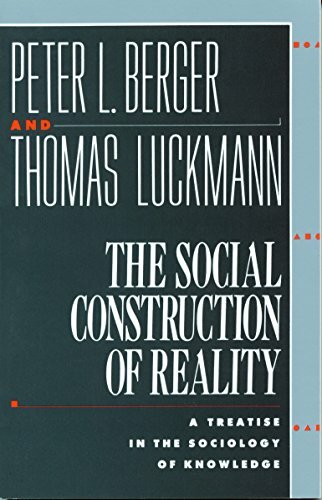 Social constructionism is a school of thought introduced into sociology by Peter L. Berger and Thomas Luckmann with their 1966 book, The Social Construction of Reality. The focus of social constructionism is to uncover the ways in which individuals and groups participate in the creation of their perceived reality. As an approach, it involves looking at the ways social phenomena are created, institutionalized, and made into tradition by humans. Socially constructed reality is seen as an ongoing, dynamic process; reality is re-produced by people acting on their interpretations and their knowledge of it. Social constructionism is dialectically opposed to essentialism, the belief that there are defining transhistorical essences independent of conscious beings that determine the categorical structure of reality. Within social constructionist thought, a social construction, or social construct, is an idea which may appear to be natural and obvious to those who accept it, but in reality is an invention or artifact of a particular culture or society. The implication is that social constructs are in some sense human choices rather than laws resulting from divine will or nature. This is not usually taken to imply a radical anti-determinism, however.